This pattern has done the rounds on almost all sewing blogs that I read. The pattern is versatile, with many options for the dress including cap sleeves, longer sleeves, two types of collars etc. I choose to go very simple for my first make of this pattern and didn't use any collars, sleeves or pockets. I actually thought this wouldn't work at all and as such I used cheap Navy cotton. It in fact worked perfectly and the dress fits really well. I found the instructions easy to follow and there wasn't any stage where I was stumped with what the instructions told me to do. 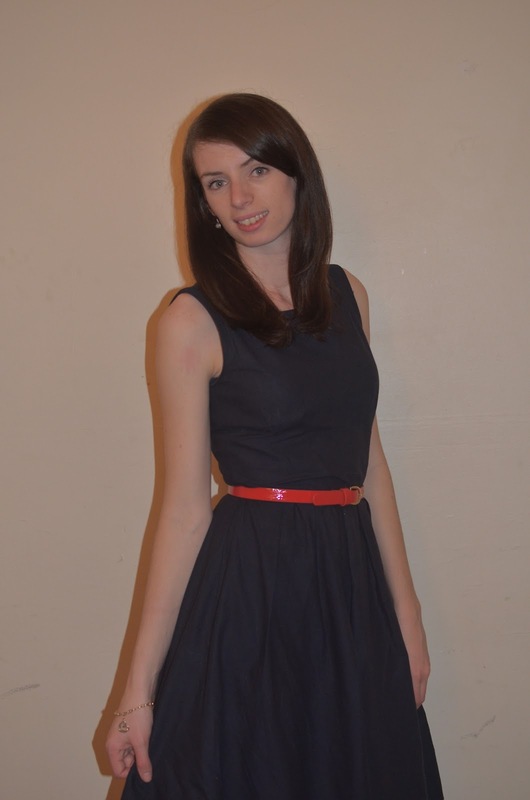 It took me about three weeks to make, but that is because I had very limited sewing time to spend on this dress. In all, I estimate it probably took me about 6-7 hours to make. Not bad for someone who is still a beginner sewer. 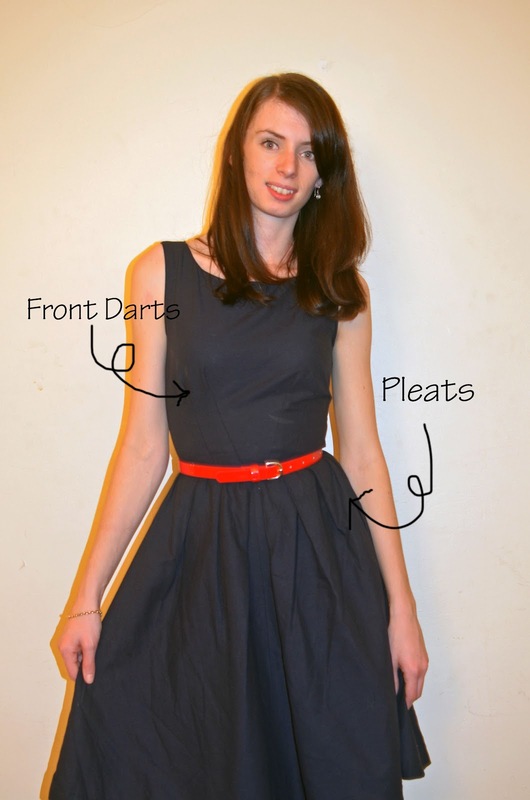 The dress has a fitted bodice, front and back darts, front and back pleats and a back zip. I cut the dress out exactly as the pattern showed and made no adjustments at all. I used a 1.5inch hem and the dress still sat just on my knee which I think is a little long. I am 169cm tall, so the dress would be quite long on most people. Next time I make it, I will take it up further. It has a very 50's feel to it, which I love. So simple, classic and elegant. 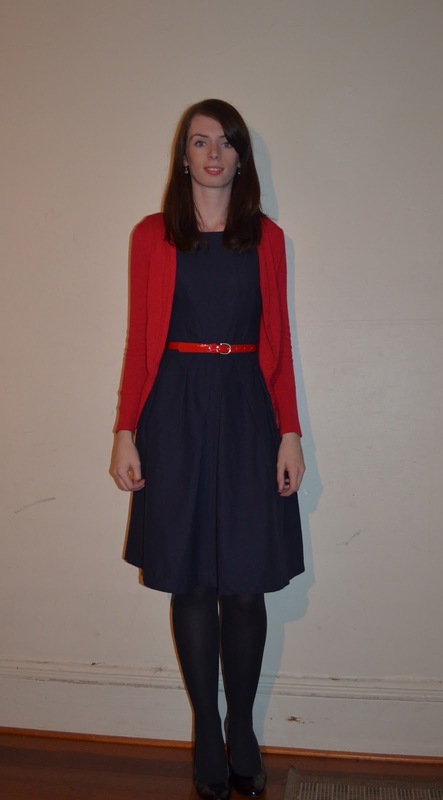 I wore it out to dinner last night and paired it with a red belt, red cardigan and black heels.